A wonderful review, Maggie – it sounds as though this little gem made quite the impression on you. 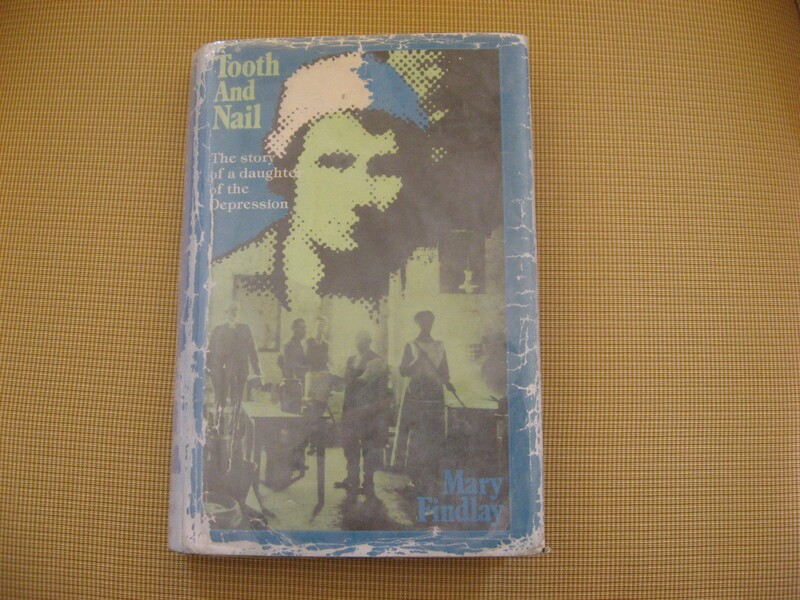 I will certainly be adding Tooth and Nail to my reading list; I am always a fan of bildungsroman novels (especially NZ lit ones!). Hello Elizabeth. Yes, I did love it – it’s really an autobiography written as a novel. I found it through the library and because I enjoyed it so much, on the weekend I found a pristine second-hand hard-back copy in the Left Bank on Cuba Street for ten dollars! Lovely as always, to hear from you, Elizabeth. This book, as you know, has been very important to me and I am looking forward to reading it again for our bookclub, Tom Findlay, Mary’s son was a big important union man who my Commnist parents thought highly of. I’m just going to look him up on Google. I read this book many years ago and am about to read it again for our book club. It’s a special book. She is so down-to-earth. Hey, I was just doing a Google search for this book as I read it years ago and now I’m trying to get my hands on another copy, then I stumbled upon your excellent review. This is a fantastic read, and as you point out, an insightful piece of social commentary. Cheers. My husband and I have recently read this and am passing our copy on to others to read. Highly reccommended as a piece of social history as well as an absorbing read. Nice to hear from you, Ruth. Thanks for stopping by to comment. Thank you for stopping by to comment Rosalind. What a thoughtful gift from your father. It certainly is a book that stands the test of time and well worth reading. Mary Findlay is my Grandmother. So lovely to hear that she lives on through her book. I’m nearly ready to pass it onto my own daughters to read. One of my favourite books and a must-read for everyone. My mother also loved this book and knew Ken Findlay. WE read this book last year ( I think) in our book group. I’m Rachael Findlay – Mary’s eldest grandchild, Ken’s eldest daughter and a school librarian. As a child I read bits of the manuscript Mary showed me when she was writing it. The book was once recommended reading for English in schools but I imagine it’s long since out of print. Hello Rachael. I love hearing from the family of Mary Findlay. Thank you for stopping by to say hi. Yes, I heard through some younger friends that it was in their curriculum at school, and I thought ‘how wonderful’ and I think it should remain a recommended reading for young people in New Zealand schools – such an interesting part of our social history – and such a strong and interesting character, your grandmother. Hello, just to let you know that I fell in love with this book when we read it in English class. I am currently trying to track down a copy for my personal collection.